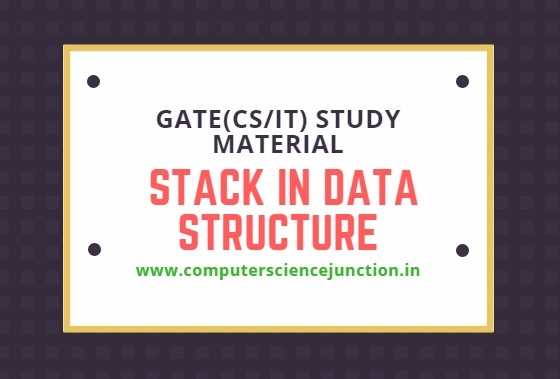 This tutorial covers the basic concepts of stack in data structure, stack application and use , we also learn about push and pop operations in stack. What is stack in data structure? 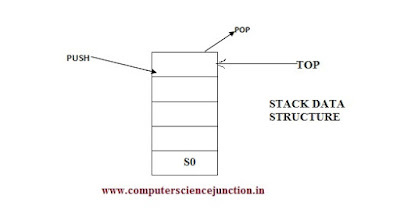 Application and use of stack in data structure. (A) What is stack ? Stack in data structure is an abstract data type. Stack a linear data structure that allows inserting and deleting elements in a specific manner. When we want to insert an element in stack it can be added a top of the stack. All the insertion and deletion is performed at this TOP in stack in data structure. Here S0 is a bottom element and stack has n element. This Top is a variable which contain position of the newly inserted element. Following operations are performed on stack. The insertion of element into stack is called PUSH operation in stack. The deletion of element from stack is called POP operation in stack. PUSH (stack,integer) = stack, it add element shown by ‘i’ on to the stack s.
POP (stack) = stack,it will remove the top element of the stack s.
The no of element in array are fixed whereas for a stack there is no bound. At first we check if the stack is fullor not. If the stack is full, then in this situation print error of overflow and exit the program. If the stack is not full, then at first we increment the top value by one and add the element at this new position ( new value of TOP variable). At first we check if the stack is empty or not. If the stack is empty, then in this situation we print error of underflow and exit the program. If the stack is not empty, then print the element at the top and then we have to decrement the top by one. This new value of Top variable is Top at this time. Parsing: stacks are used by compilers to check the syntex of the program and for generating executable code. Function calls: when a function is called all local storage for the function is allocated on the system “stack” ,and the return address(within the calling function) is also pushed on the system stack. Implementing Recursion: they can be used to implement recursion if the programming language does not provide the facility for the same. Reversing a list: we can also use stack for reversing a list. Stack is a very useful data structure. Local variable in a function is also store in stack. In this tutorial we studied about basic concepts of stack in data structure, stack application and use , we also learn about push and pop operations in stack.